Update: iPad 2 has been announced! The ship date is March 11 for USA, and March 25 for some international customers. Not only is a MacBook Pro refresh due out in the very near future, but the iPad 2 is scheduled to be released next week as well, according to a report from AllThingsDigital. Citing “several sources close to the situation,” AllThingsD claims event invites will be sent out soon and that the date is “confirmed” (by who remains unclear). Several other nearby dates have no scheduled events listed either, so this doesn’t really provide much proof of anything. It seems a little strange for Apple to have two major product releases within just a few days of each other, since the iPad 2 would clearly take the limelight off a significant MacBook Pro update. Maybe this means the MacBook Pro update won’t be as significant as many had hoped? 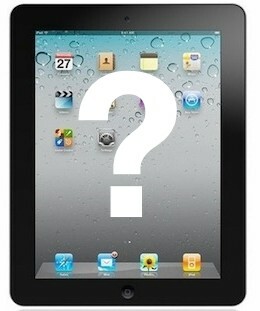 Update: New York Times and Reuters have chimed in with their own sources saying March 2 is the release date of iPad 2. Update 2: This is all but confirmed, as event invites have been sent out for an iPad event on March 2.
iPad 3 Release Set for March 16? iPad 2 is a much more significant announcement than a new MacBook Pro. I’m convinced the MBP update will be processor and hardware updates only.